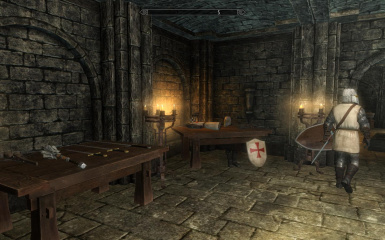 - Adds Castles or Bases for Knights Templars, Hospitallers and Teutonics with Blacksmiths, Merchants, Cooks, Containers, Beds etc. 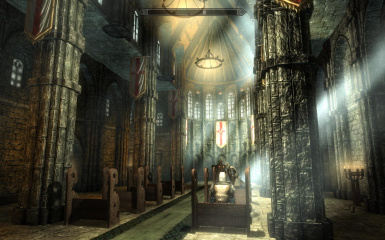 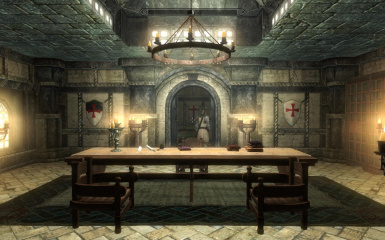 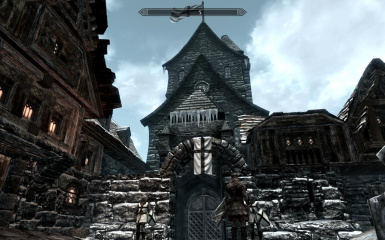 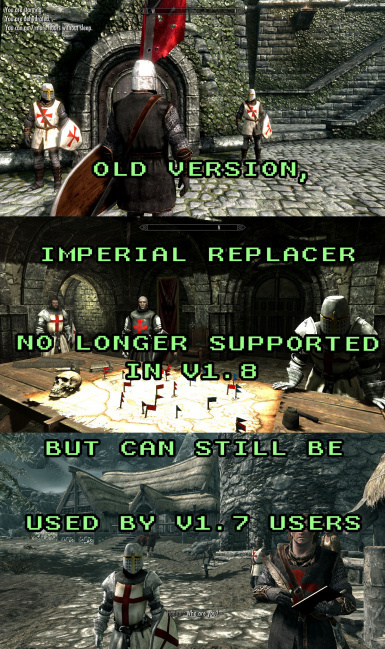 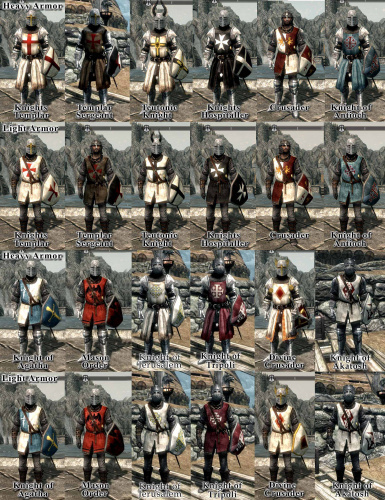 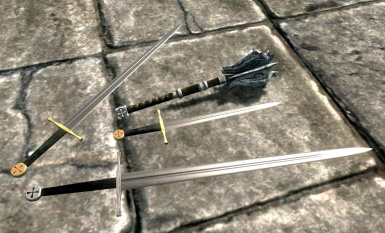 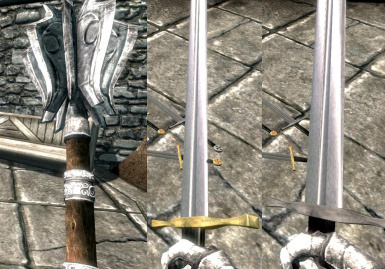 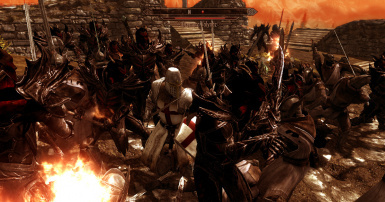 - V1.8 is incompatible with "Open Cities" mod, but V1.7 and lower versions are compatible with "Open Cities"
- v1.8 Adds Knights of Tripoli, Jerusalem and Akatosh Armors, Adds a new Helmet, Modifies Templar Sergeant and Knight of Antioch Textures, Lessened clipping in the neck of the helmet, slightly modified the female mesh, re-stat the Weapons and Armor to Skyforge Steel Weapons and Steel Plate Stats to make them more balanced, Armors and Weapons now require "Steel Smithing" instead of "Dragon Smithing" because of new stats, v1.8 conflicts with "Open Cities" mod and v1.7 Imperial Legion replacer is no longer supported (it was buggy anyway). 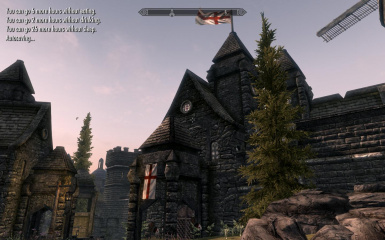 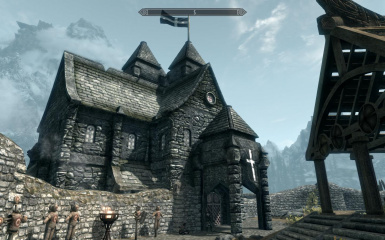 - Added v1.85 (Optional) No Castle Version, this version removes the Castles, NPCs and Factions added by v1.8, this version IS compatible with Open Cities mod and similar mods BUT this version is UNTESTED, this version requires the main v1.8 mod and V1.81 patch to function.